A selection of artwork from the Museum of Glass (MOG) collection has traveled across the pond to National Glass Centre (NGC) in Sunderland, England. This partnership began in 2014, when a representative from National Glass Centre traveled to Tacoma, WA, to meet the Museum of Glass curatorial team. Following this meeting, the Museum of Glass mascot, Green Guy, had the opportunity to visit Sunderland, where he explored the artwork on display at NGC! Exploring artwork on display in the gallery where pieces from the Museum of Glass collection are now located. In the National Glass Centre Hot Shop! Since then, Seattle-based artist and National Glass Centre staff member Paul Marioni has worked with both institutions to select a variety of pieces from the MOG collection to travel to Sunderland. The Museum of Glass collection is now on display at National Glass Centre through August 31, 2016. Alex Carr is the Digital Media Coordinator at Museum of Glass. When she’s not circulating the Hot Shop floor trying to get the perfect Instagram shot for the Museum, you’ll find her baking at home, running at Green Lake, or exploring Washington’s wineries. This entry was posted in Art, Exhibitions, Glass, Museums and tagged England, Museum of Glass, National Glass Centre, Paul Marioni, Sunderland, Tacoma on September 25, 2015 by Museum of Glass. It’s that time of year—Bird Lovers’ Weekend is upon us! 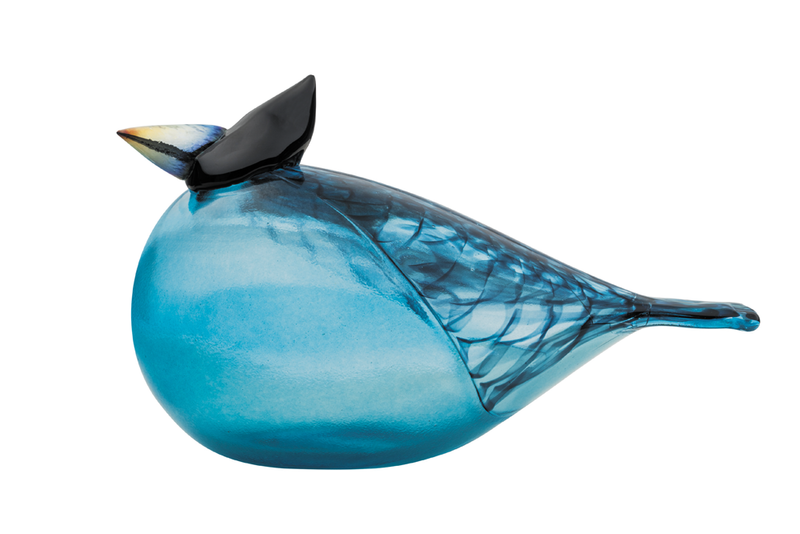 We welcome Finnish master glassblowers Arto Lahtinen and Helena Welling back to the Museum of Glass (MOG) Hot Shop to create glass birds designed by Professor Oiva Toikka all weekend long! Finnish glassblower Arto Lahtinen in the Museum of Glass Hot Shop during the 2014 Bird Lovers’ Weekend. 4 – 6 pm: Design your own bird! Pick your own colors and details, and Arto Lahtinen and Helena Welling will do all of the work! $450 Members/$500 General. 10 am – 5 pm: Be a bird designer! Submit your bird designs all day Friday and Saturday. Two winning drawings (by one child and one adult) will be selected on Sunday by Lahtinen and Welling to be created in glass for the winners to take home. 12 – 3 pm: Adriana Hess Audubon Center/Tacoma Nature Center will be here with a Fold the Flock origami activity. 10 am – 5 pm: Be a bird designer! Submit your drawings in time for selection on Sunday. 10 am – 5 pm: Long-time Bird Lovers’ Weekend fan and new glassblowing student, Vienna Scheyer, will be an intern for the day in the Hot Shop alongside her idol, Arto Lahtinen! 10 am – 5 pm: The first flock of birds made on Friday by Lahtinen and Welling will be available in the MOG Store! 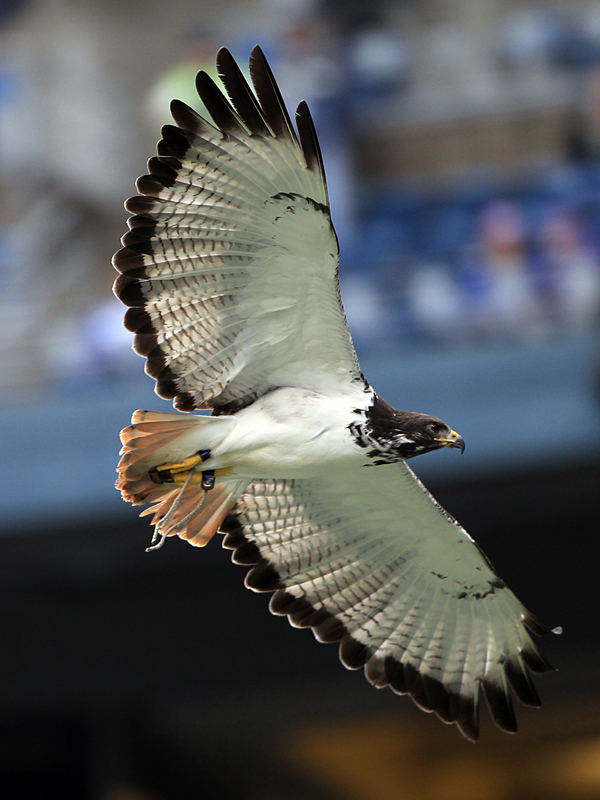 11 am – 3 pm: Seattle Seahawks live mascot, Taima the augur hawk, will be in the Grand Hall! Send some positive vibes with her before the Seahawks game against the Detroit Lions on Monday! 1 – 4 pm: Create your own wire bird sculpture and paint a bird feeder with artist Larry Calkins. Seattle Seahawks live mascot, Taima the augur hawk. 11 am – 1 pm: Enjoy the members’ brunch and have your bird(s) signed by the artists at 11:30 am. 12 – 1 pm: Point Defiance Zoo & Aquarium will have bird ambassadors on hand. Come meet them in the Grand Hall! 12 – 5 pm: The second flock of birds made on Saturday will be available for sale in the MOG Store. 12 – 5 pm: It’s your second chance to design your own bird. YOU choose the details! $450 Members/$500 General. 12 – 5 pm: Lahtinen and Welling will select the winners from the bird designer pool of drawings and create the winning designs—one for a child and one for an adult! 2 – 3 pm: Find out how Iittala bird collectors got started, what fuels their passion, and how you can get started on your own collection during the collector question and answer session! 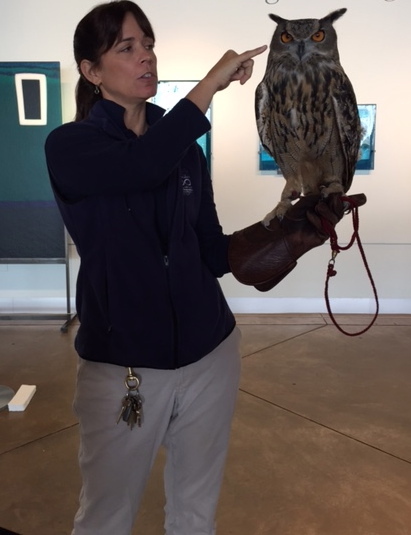 A Point Defiance Zoo & Aquarium bird ambassador visited Museum of Glass during the 2014 Bird Lovers’ Weekend. Birds by Toikka will be on display in the Grand Hall. The 2015 Museum of Glass annual bird, the Steller’s Jay, will be available for sale in the Museum Store! The 2015 Museum of Glass annual Bird, the Steller’s Jay. Don’t miss out on all the new happenings this year—there’s something for everyone! I’ll see you there! This entry was posted in Art, Artists, Events, Glass, Museums and tagged Adriana Hess Audubon Center/Tacoma Nature Center, Arto Lahtinen, Bird Lovers' Weekend, Finland, Helena Welling, Hot Shop, Iittala, Larry Calkins, Museum of Glass, Point Defiance Zoo & Aquarium, Professor Oiva Toikka, Seahawks, Taima on September 21, 2015 by Museum of Glass. It’s hard to believe summer has already come and gone. Although fall/winter hours are now back at Museum of Glass (MOG), we’re still reminiscing about MOG’s busy summer season. So, let’s take a look back at some highlights! This summer, Museum of Glass collaborated with the Shanghai Museum of Glass to create 20 new Kids Design Glass™ creatures. MOG’s Hot Shop Team received 100 designs from children in China, and after narrowing down their selection, they spent three weeks transforming the incredibly detailed drawings into glass sculptures. The new Kids Design Glass creatures will be displayed at the Kids Museum of Glass, an offshoot of the Shanghai Museum of Glass. MOG’s summer visitors were treated to the wild and wondrous new exhibition Chihuly’s Venetians: The George R. Stroemple Collection, and what better way to celebrate Dale Chihuly’s Venetian works of art than with an Italian festival! On August 1, the Museum of Glass outdoor plaza was transformed into an Italian piazza filled with free activities for the local community to enjoy. Guests made their own pizzas, sampled olive oil, tasted wine, indulged in gelato—and that’s just the food-related events! The day also included performances by YMCA ballet dancers, Tango in Tacoma, stilt walkers and contortionists from Seattle’s School of Acrobatics and New Circus Acts (SANCA), and Portland-based band Rags & Ribbons. Chihuly’s Venetians: The George R. Stroemple Collection is open through January 4, 2016. Museum of Glass wrapped up the summer season with an intimate party celebrating MOG’s upcoming Red Hot Auction & Gala on September 26, 2015. Seattle’s Glass Distillery hosted Rev Up for Red Hot, which featured a silent auction, speciality cocktails, and of course mingling amongst glass art lovers. Special thanks to Seattle Met magazine for covering this event in the Met Pages! Although we’re saying farewell to summer, there is still plenty to do and see at Museum of Glass in the fall and winter. Check out MOG’s upcoming events and start marking your calendar. This entry was posted in Art, Artists, Events, Exhibitions, Glass and tagged Chihuly's Venetians, China, Dale Chihuly, glass art, Glass Distillery, Kids Design Glass, Museum of Glass, Party on the Piazza, Red Hot Auction & Gala, Rev Up, Seattle Met Magazine, Shanghai Museum of Glass, Tacoma, Venetian Glass on September 11, 2015 by Museum of Glass.